Winter in Southern California doesn’t exist. To attest to that, I’m currently wearing a tank top and sandals. I have jeans on too, in case you thought I was pantsless. But seriously, this just isn’t right. I saw on Instagram yesterday that it was snowing in New Jersey. I know you East Coast people are probably sick of the cold and can’t believe that I’d complain about the 80 degree weather we’re having today but still…. I’d like to experience a mild winter for once. 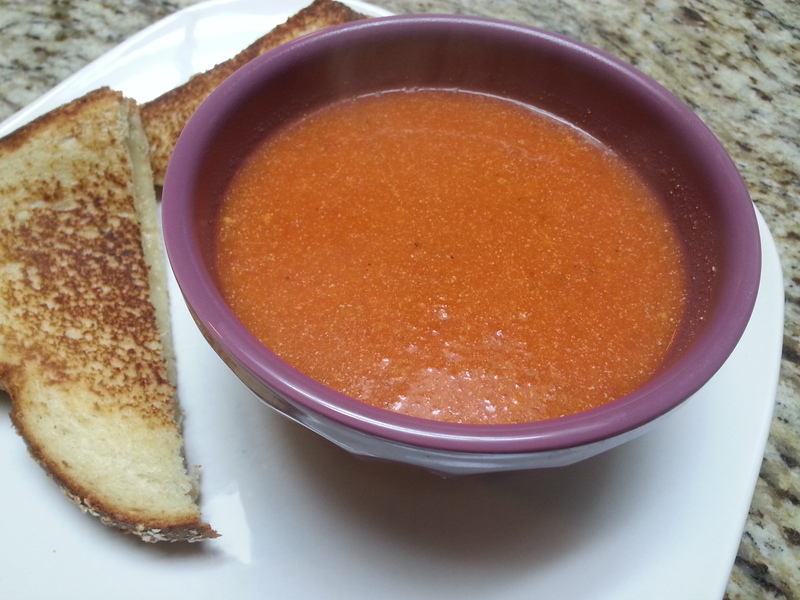 Since “winter” in California isn’t really happening, I thought now was as good a time as any to share my simple tomato soup with you. 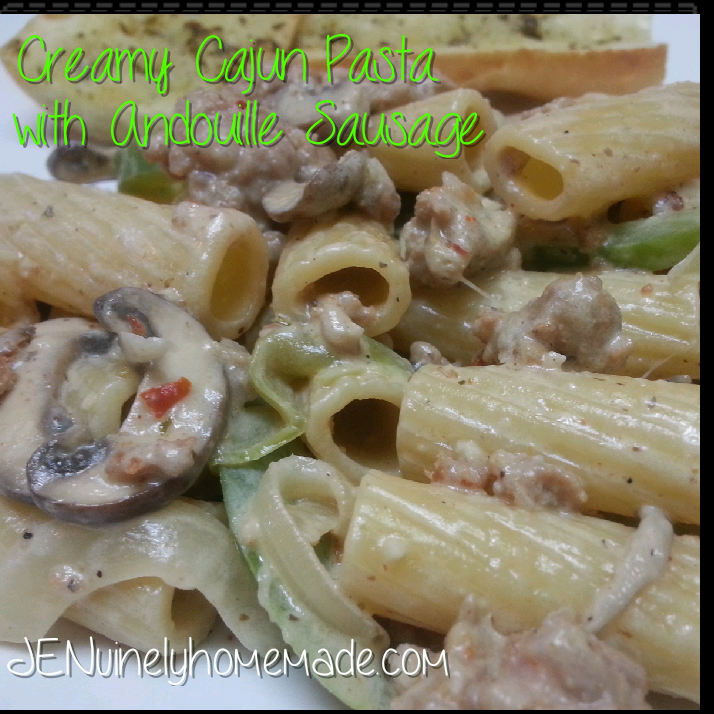 This is great for lunch on a cold day (I don’t know much about cold days) or a quick dinner. And this must be served with a grilled cheese. It’s a requirement. At least with my soup. This makes a medium sized pot and is supposed to be an accompaniment soup. Yes, I’m very fancy that way. In a medium sized pot, heat olive oil on medium. 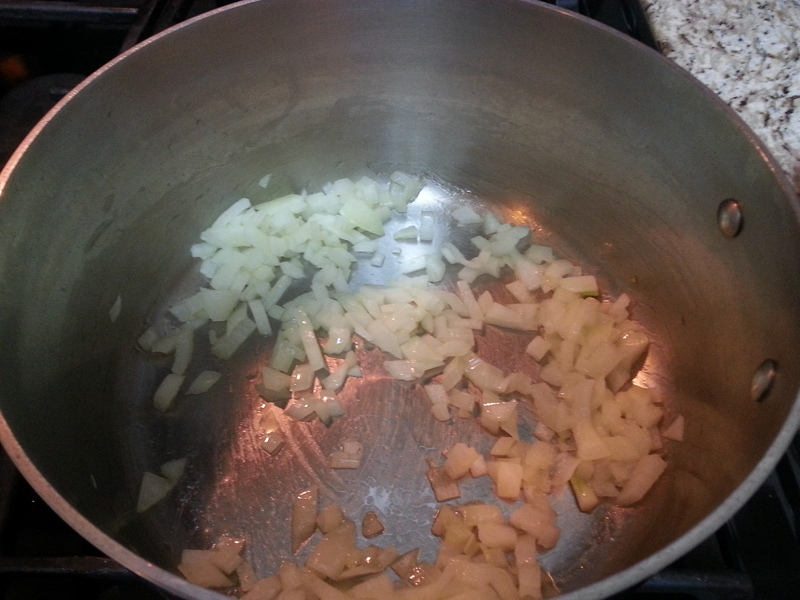 Once heated, add the onion and sauté for 3 minutes. 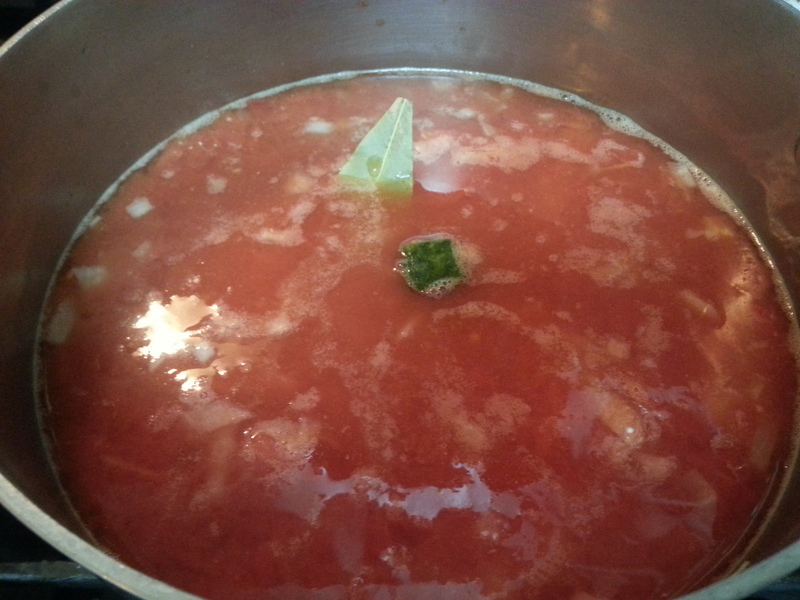 Then add in the tomatoes (juice too) chicken broth, sugar, salt, pepper, bay leaf and the rest of the seasonings. Bring to a boil and then reduce heat. Simmer uncovered for 15-20 minutes. 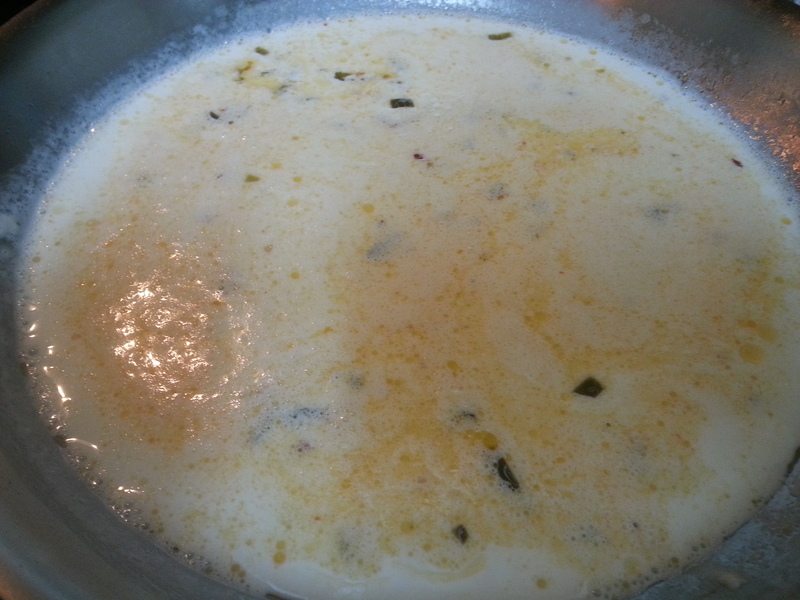 Remove bay leaf and then with an immersion blender, pulse soup a few times to thin it out to a smoother consistency. Turn off the heat and add the half & half. 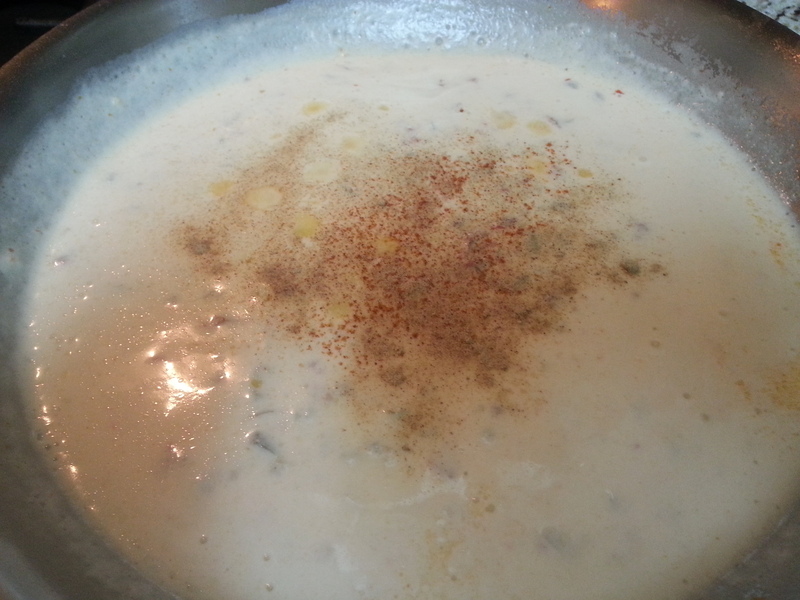 Stir and taste and add more pepper or more sugar if necessary. Serve immediately. I’m still holding out hope that a little bit of winter will arrive soon. That snow on New Year’s Eve was a total fluke and won’t happen again for at least another 10 years but I’m still wanting to get some use out of my boots. But for now, sandals it is. Game day is coming up and if you’re like me, it’s a great excuse to eat a lot of food. We’re not much for football in this house, but every year for Superbowl, I make a nice spread and we usually have friends over. This year I’m making about 9 pounds of baby back ribs and loaded potato skins as requested by the man of the house. And of course we’ll have some dips and chips and a bunch of other goodies. But, if you’re still undecided about what you’re wanting to make, I have an idea for you. 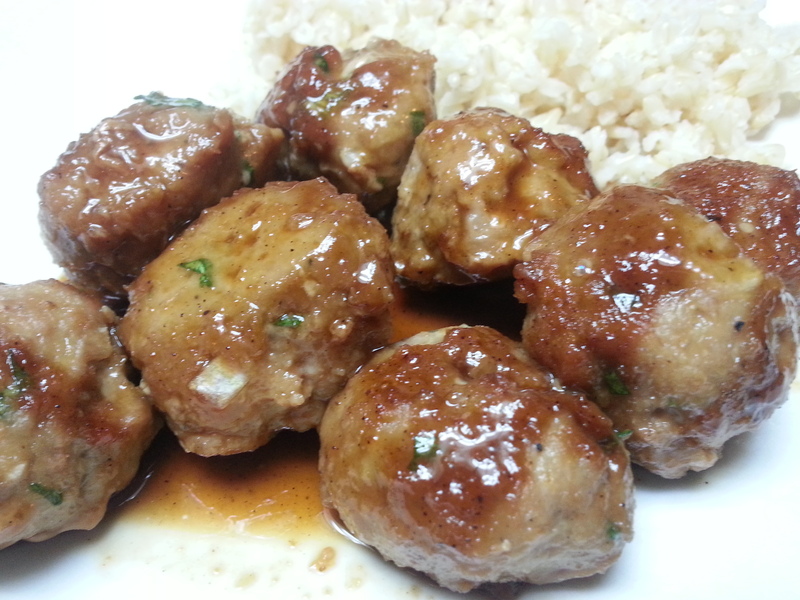 I made these meatballs for dinner last night and they didn’t disappoint. They were so tasty in fact that I thought they would be an excellent Superbowl/party snack as well. But really, they make a great dinner option. And they’re quick. And they’re kid friendly. And they taste really, really good. Sounds like a winner, right? So I have to say this though….I call these teriyaki but there’s really only one “teriyaki” sauce that I use and I really urge you to go out and buy it. My parents have used this sauce for years and when I went out on my own and had my own home, this sauce became a permanent resident in my casa. And that’s Yoshida’s Gourmet Sauce. Mi casa es su casa Mr. Yoshida. I don’t know how to say that in Mandarin or Cantonese, so Spanish will do. But do you get my point? This is the “teriyaki” sauce you should have in your kitchen. And it will be the only one you’ll ever buy after you’ve tried it. But if you want to be really stubborn, use what you’re using. I’m going to be stubborn and stick to my guns though about Yoshida’s. Add all of the ingredients to a large bowl, except 1/2 c. teriyaki sauce. 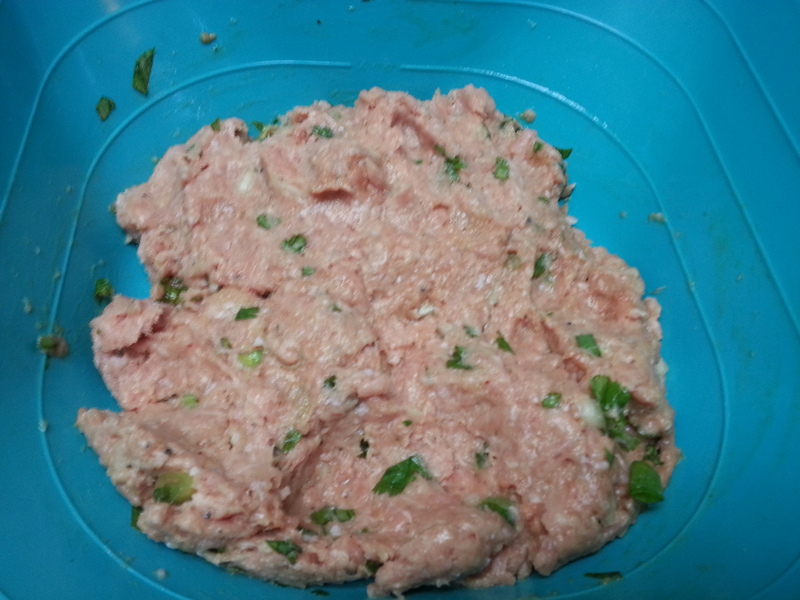 With your hands, combine the meat mixture until evenly mixed. You can either put this back in the fridge for an hour or two or just go ahead and make your balls. Preheat the oven to 400 degrees. Spray a baking dish with cooking spray. To make the meatballs, I use a little scooper to ensure evenly sized meatballs, but you can just as easily use your hands. 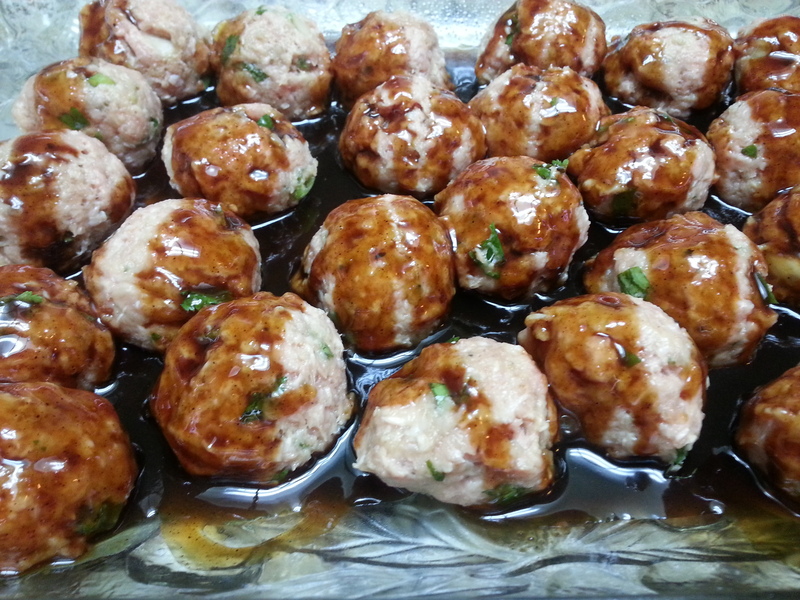 Place all the meatballs in the baking dish. 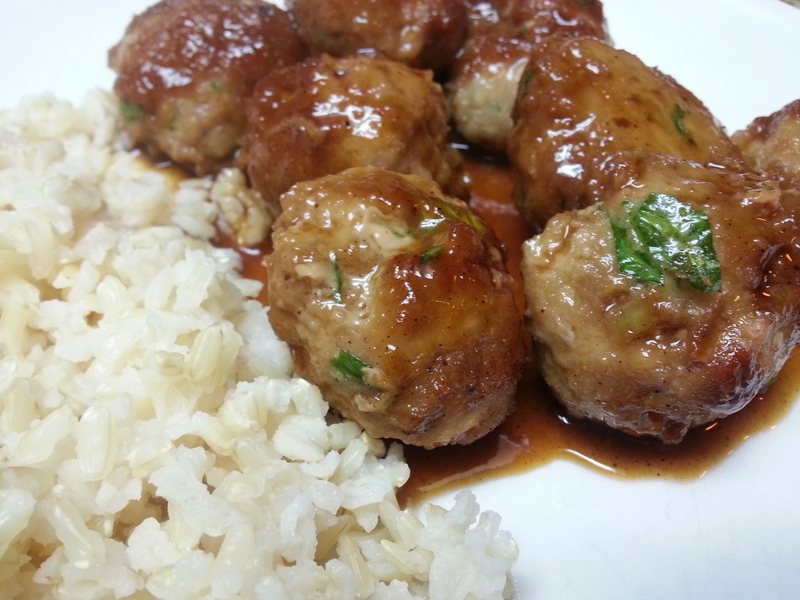 Then pour the 1/2 c. teriyaki sauce over the meatballs. Place in the oven and bake for 20 minutes. Tah-dah! That’s it. I served this for dinner with steamed brown rice and sautéed cabbage and it was just scrump-diddly-dumptious. But like I said, these would make great appetizers for a Superbowl party, or really any party. Basically what I’m saying is, just find an excuse to make these! Have a fun Sunday. Patriots or Seahawks? Honestly, I’m just there for the food. 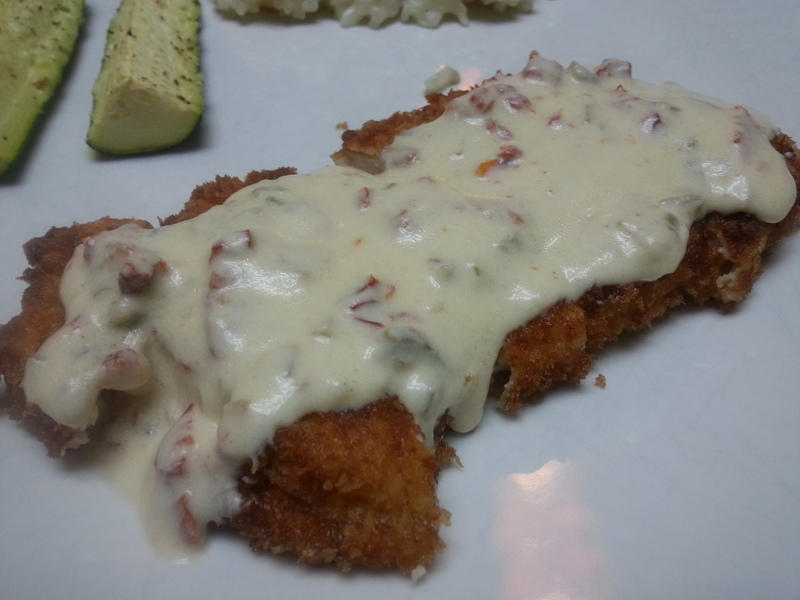 One of my favorite restaurants here in town serves this delicious pan fried chicken breast with a jalapeno cream sauce over the top. I order it every time we go there because it’s simply delicious and I just love the sauce. Well, as I’ve talked about before, eating out is SO incredibly expensive and unfortunately, this is a $20 dish at this place so make it at home I must! Luckily for me (and my family), my experiment turned out pretty well because although I really like that restaurant, I haven’t been back since I concocted my own sauce. And recently, I was talking to a friend about this very restaurant and she mentioned her husband loves the sauce as well. We scheduled a day for her to come over and we cooked this dish right up in my kitchen and she agreed! The sauce tastes very similar to what you get at the restaurant. And it’s so incredibly easy, yet looks like you spent way more time on it. In a skillet or saucepan, heat over medium heat. Add butter and let melt. 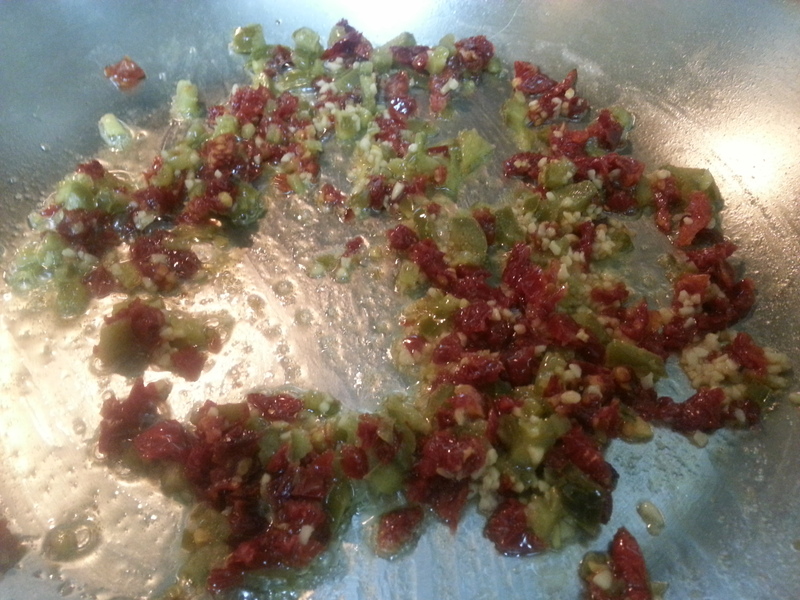 Add in the jalapenos and sun dried tomatoes and let cook for a couple of minutes, until warmed through. While that’s cooking, in a measuring cup, add the half & half and the flour. Use a whisk to combine and stir until smooth. This is the slurry that will thicken the sauce. Add in the garlic to the pan and let sauté about 30 seconds. Reduce heat to low and add in the slurry. Bring heat back up to medium, and whisk. As it comes up to a bubble, it will thicken. Add in the seasonings a little at a time, tasting as you go. Reduce heat to low until ready to serve. 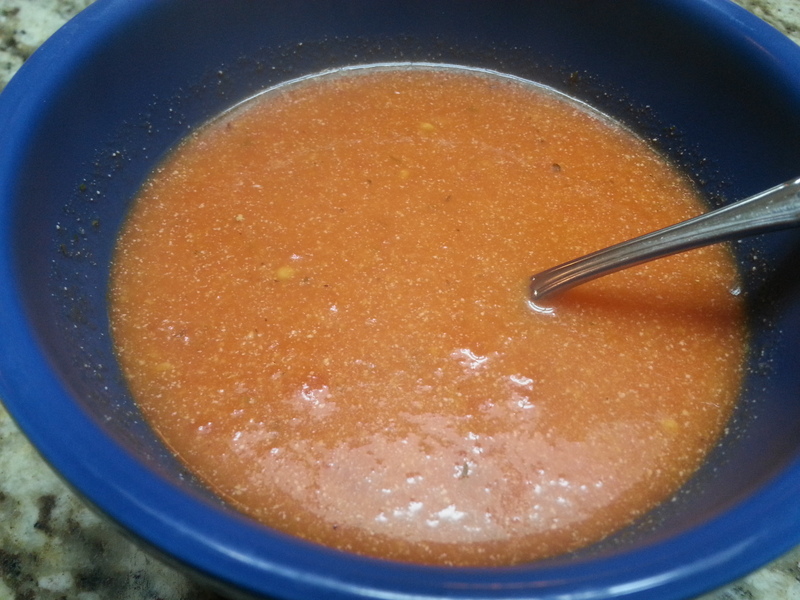 *White pepper and cayenne are very strong flavors so start off lightly. 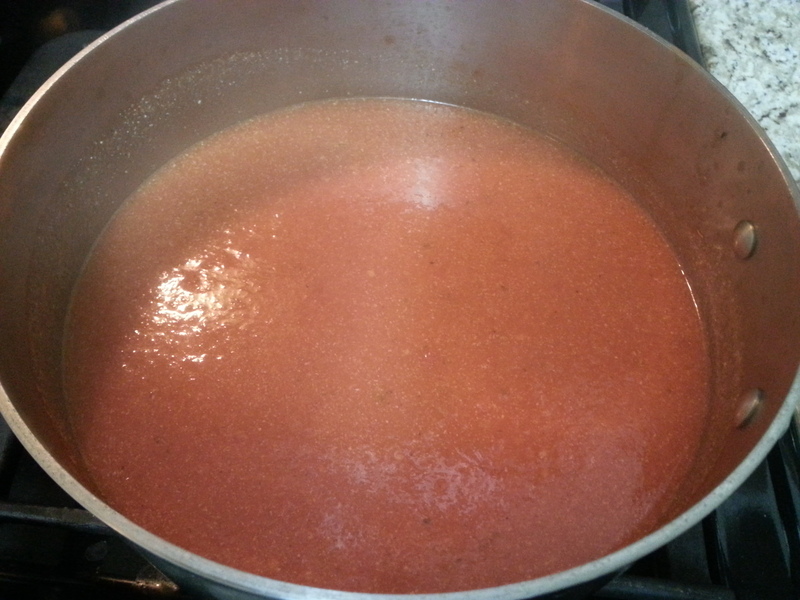 Once the sauce has thickened and is seasoned to your liking, pour over whatever you like! 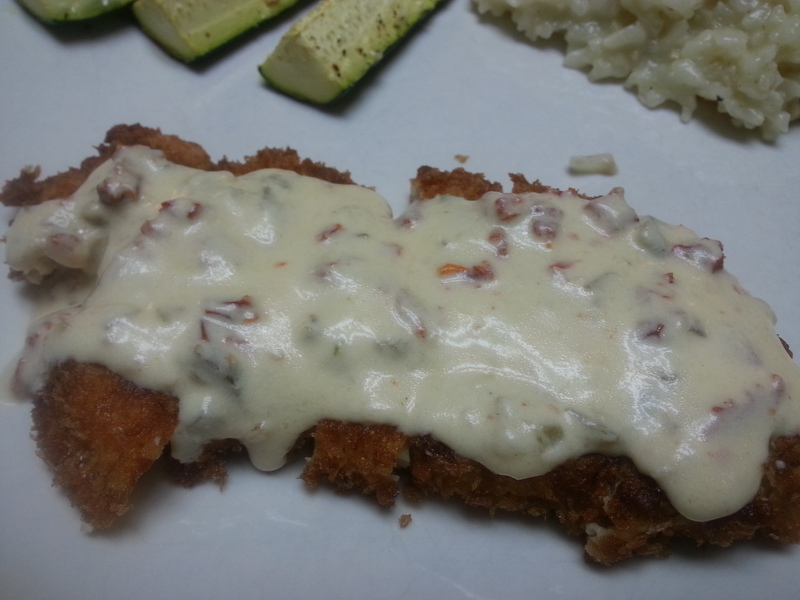 I love this on a panko coated pan fried chicken. 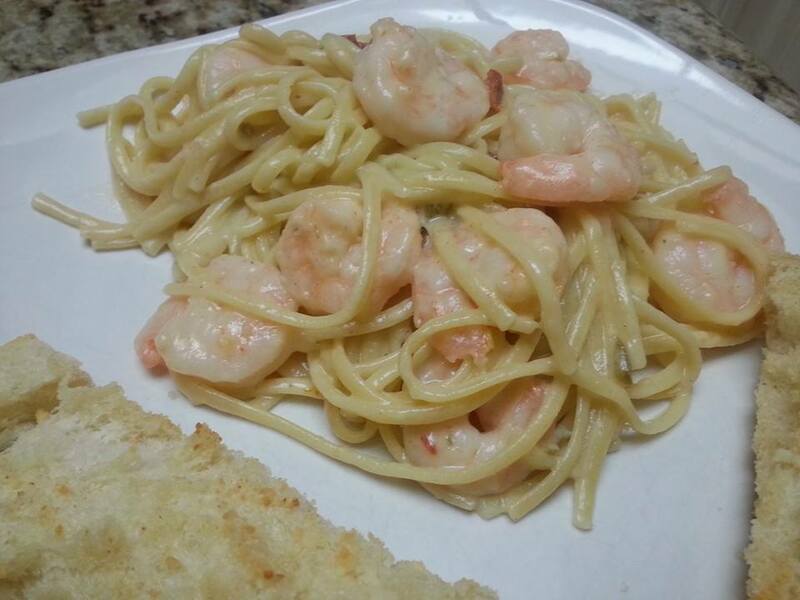 I’ve also served it with shrimp and pasta and it went very well together. The restaurant that I got the idea from, uses it as a dipping sauce for calamari as well. And surprisingly, my kids really like this sauce. I just make sure to put it on the side and they dip their chicken in it. Family friendly! With all of this holiday eating and cooking, making a big meal may not be your biggest priority right now. And you’re probably out of leftovers….. so, here’s a solution to still having a quick, easy, home cooked meal. It would take longer for you to call and order a pizza and wait for it to be delivered, than it would take to make this. This is a dinner we’ve had on our “Meatless Monday” nights. Yes, I’m aware it’s now Tuesday. But it’s great any time you need something fast. Don’t be alarmed by the date on the half & half. This is an old picture! Cook pasta according to directions on box. In a small saucepan, add the prepared pesto and the half and half. Heat on medium low, until warm, and stir together. When pasta is cooked, drain and add to a bowl. 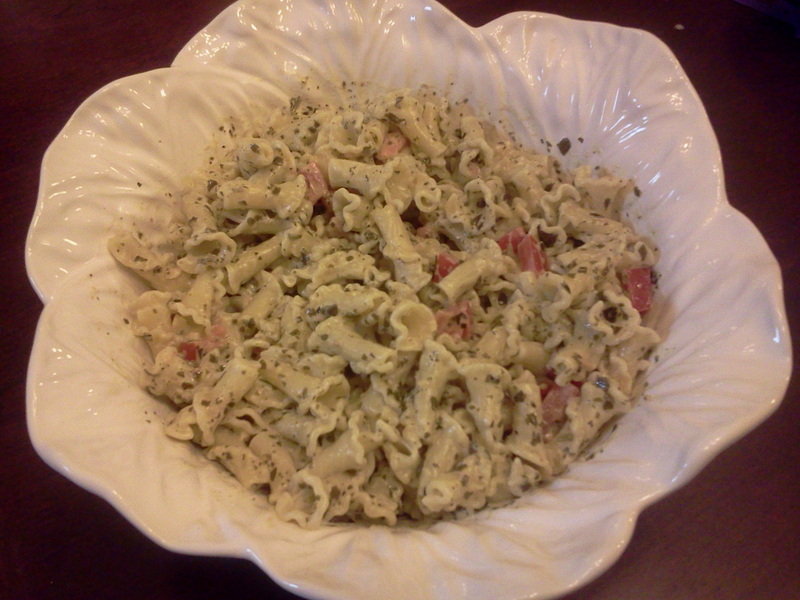 Pour creamy pesto sauce over the top and add chopped tomato. Stir and serve. It’s seriously that easy AND only 4 ingredients. Feel free to add some cracked black pepper or a little bit of grated parmesan but really, it has a ton of flavor already. OK, so yes, technically, I didn’t use actual spaghetti pasta when I made/photographed this. 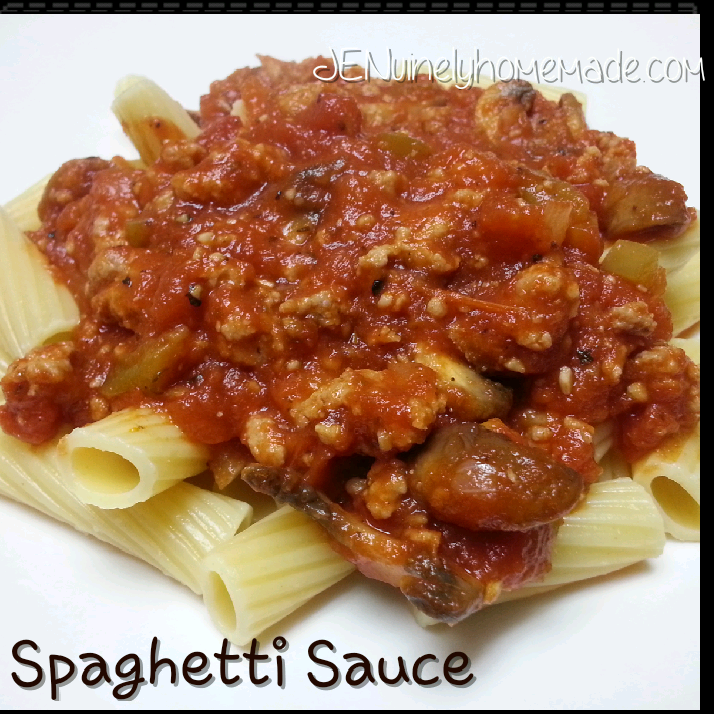 But, it’s a red, tomato based meat sauce that goes on top of noodles which in my opinion, equals spaghetti sauce. Call it what you want, I call it yummy. The key to this sauce is letting it simmer and cook down. This is what I think is the spaghetti secret. For those of you who’ve had spaghetti where the sauce is a bit watery and leaching out liquid all over the plate, well, that’s no good. But if you let the sauce cook longer, the flavors develop MORE and the end result is a thicker, heartier sauce that doesn’t taste like liquid tomato. Sad to say, but I’ve actually eaten at restaurants that serve their spaghetti just like that! And I’m sure you have too. Even though you need to let this simmer, this recipe for me is just about the easiest thing you can make. And a good spaghetti recipe is something everyone needs to know. So for you new cooks just starting out (or seasoned veterans), this one’s a keeper! In a large pot or Dutch oven, heat over medium. 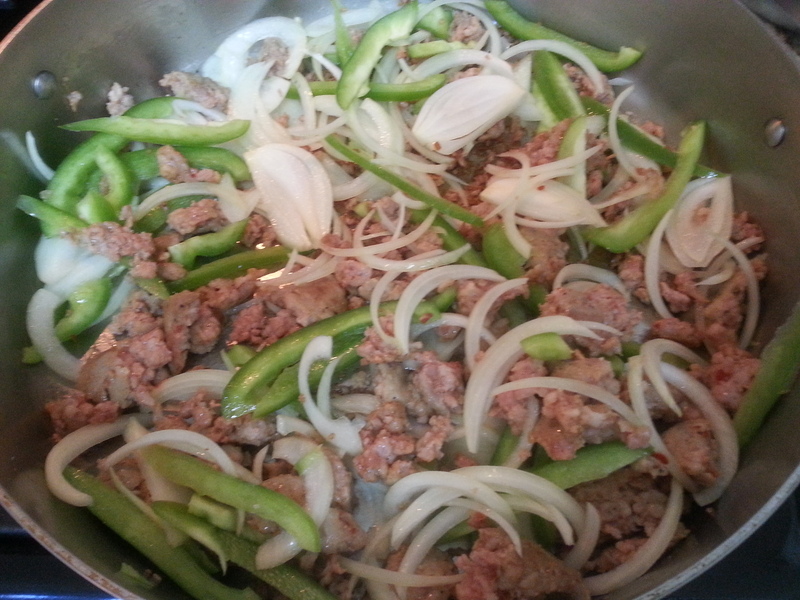 Once hot, add in the Italian sausage. 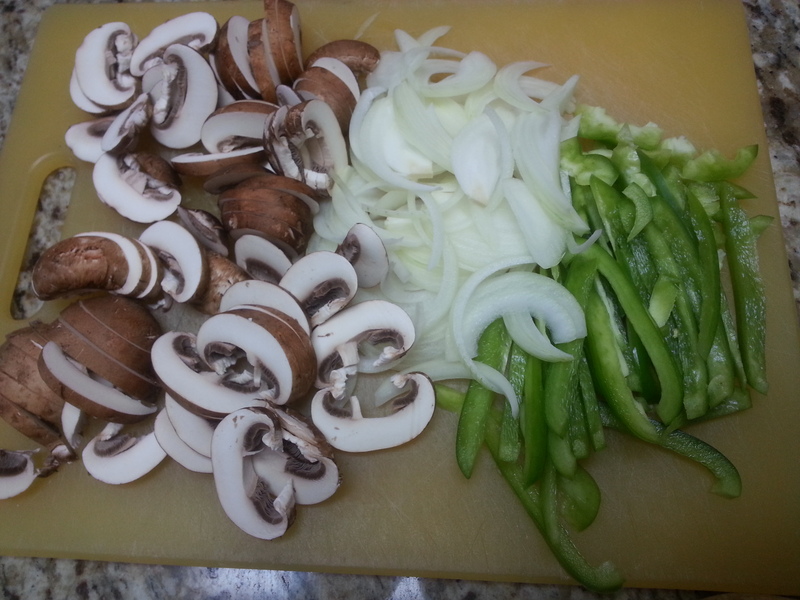 Cook until almost fully browned, stirring occasionally and add in the onion and bell pepper. Stir together and let cook for about 3-4 minutes. 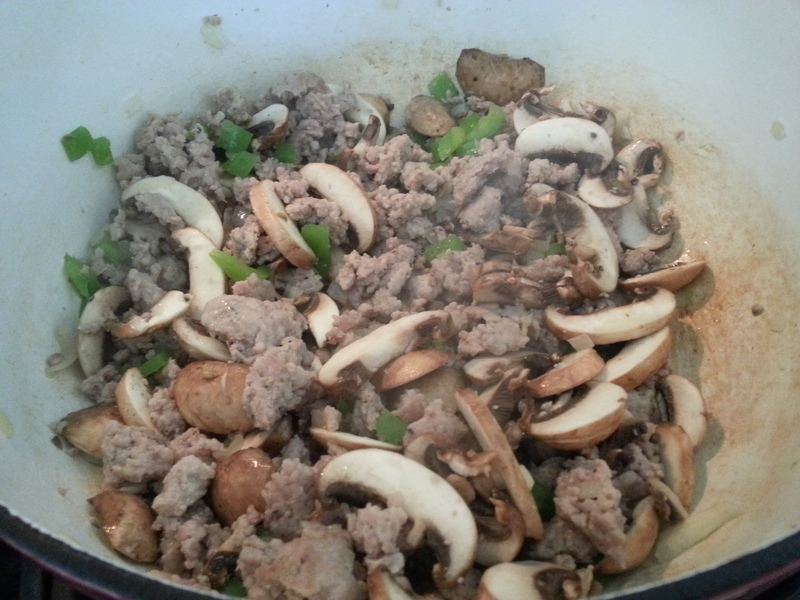 Add in the mushrooms and garlic. Cook for 1 more minute. Then add in the wine. Stir, making sure to scrape up any bits stuck to the bottom of the pot. Let cook for 1-2 minutes or until wine has slightly reduced. 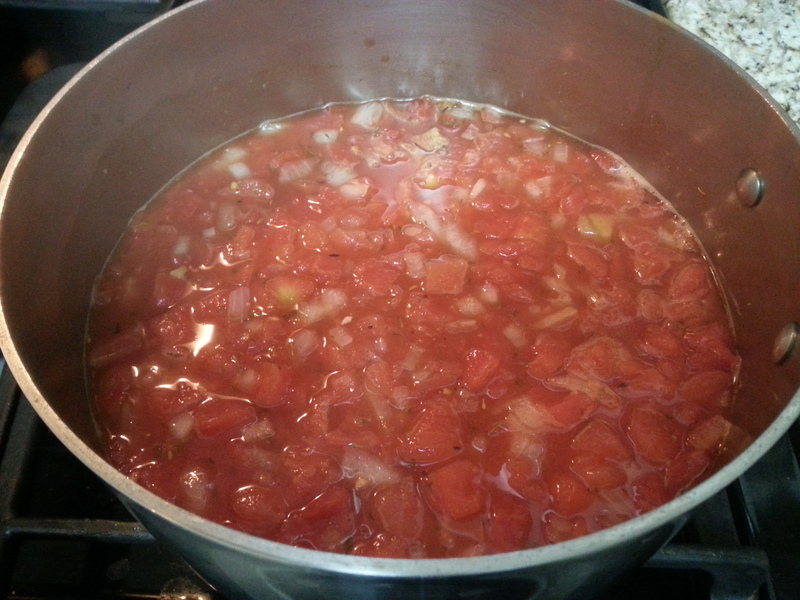 Then add in both cans of tomatoes and seasonings. 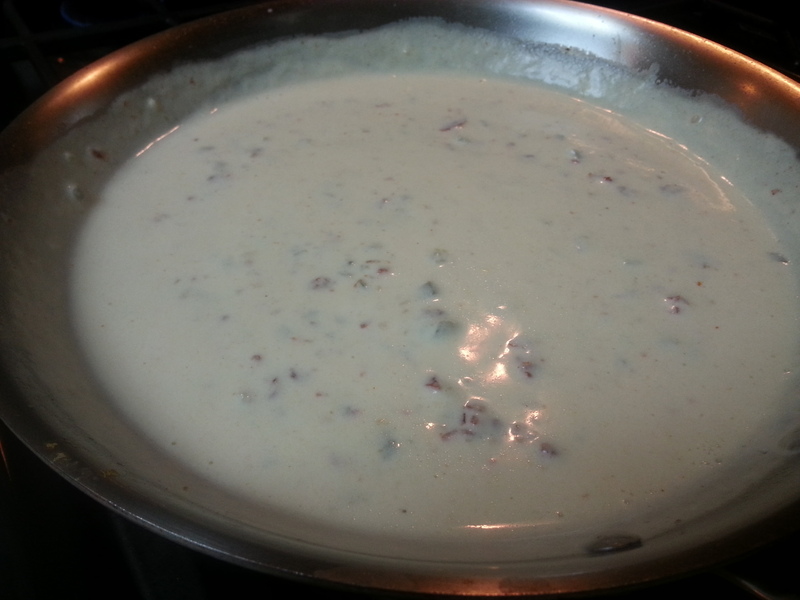 Once sauce starts bubbling, add in the parmesan cheese and stir together until it has melted. 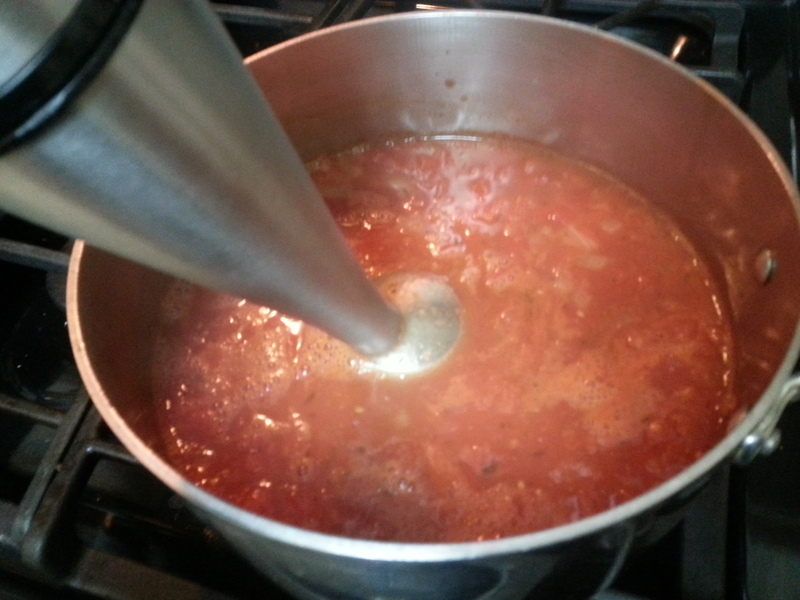 Reduce heat to a simmer and leave uncovered on the stovetop for approximately 1 1/2-2 hours, or until it has reduced and reached a thicker sauce stage. Serve over spaghetti or your favorite pasta. *This also freezes exceptionally well! So once it’s cooled, you can pop it into a plastic freezer container (even a gallon sized Ziploc freezer bag works great, but make sure to lay flat on top of something) and place in the freezer. I heart having this type of stuff already made and waiting for me in the freezer on those hectic days. 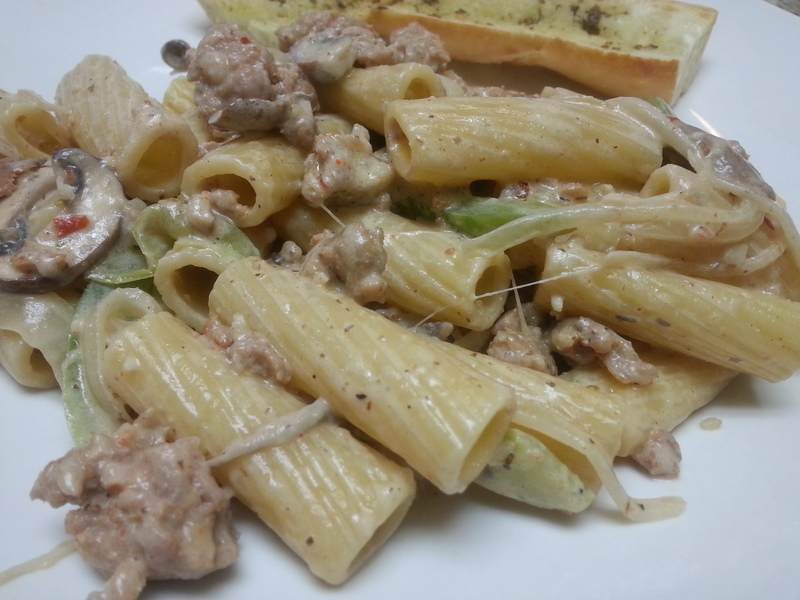 A pasta dinner is such a nice comfort meal. And I’m all about comfort food!! Especially when I can do a double carb overload. I love eating pasta with bread. Don’t judge. It’s like a must for me. 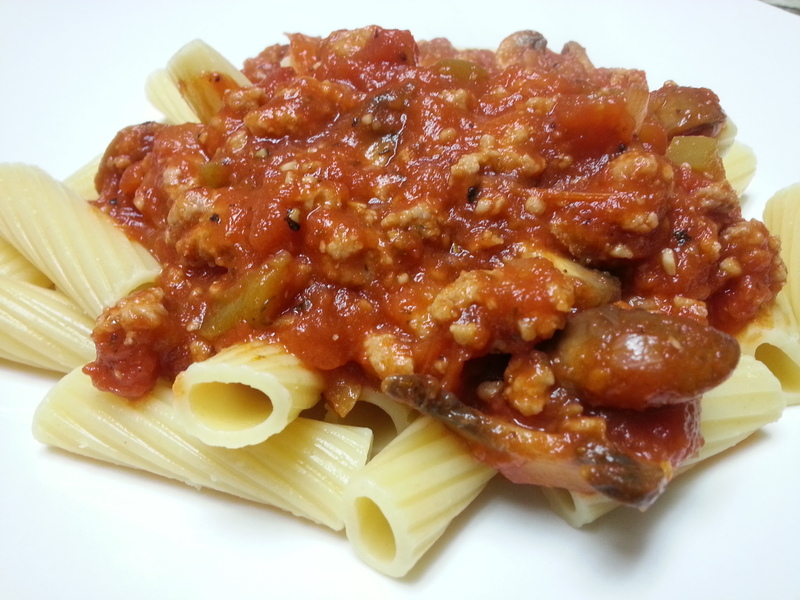 But it’s nice to change things up a bit so this pasta recipe doesn’t have a red sauce. Instead, it’s creamy and got a little kick to it! So watch out for the little people in your house in case they can’t handle spicy. I got my Andouille at the butcher counter and it was fresh made so it was actually pretty mild but it’s typically packing some serious heat. This recipe also makes for a really quick weeknight meal because it comes together so fast. And it’s pretty inexpensive. So if you’re tight on time and money, try this one out! Fill a large pot of water and bring to a boil. 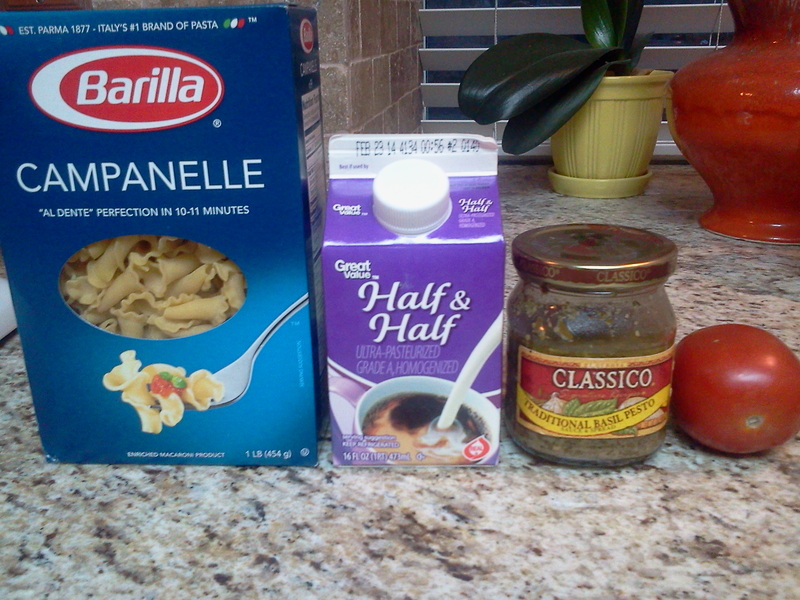 Add pasta and cook according to package directions. Drain and set aside. 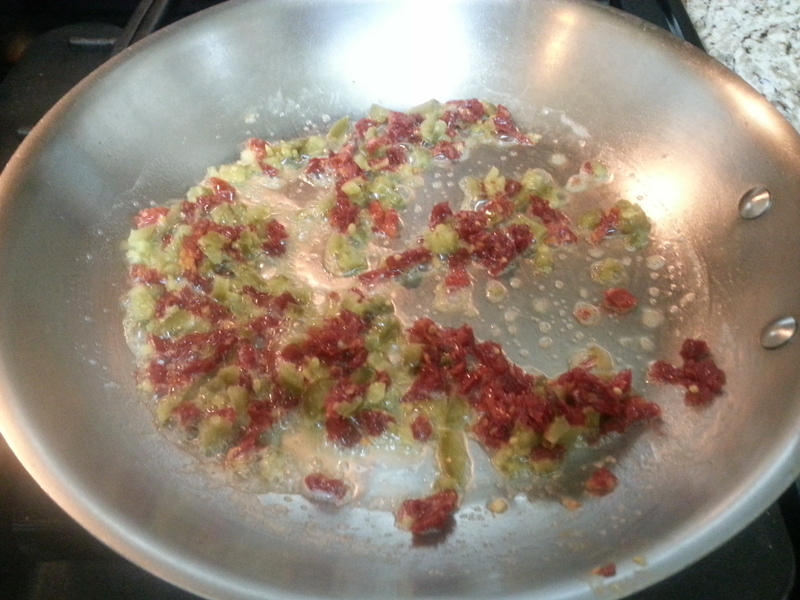 In a large sauté pan, add the olive oil and heat on medium. Add the Andouille sausage. I removed mine from the casing. But other types are fine to slice into coins. Brown up the sausage and break it up. 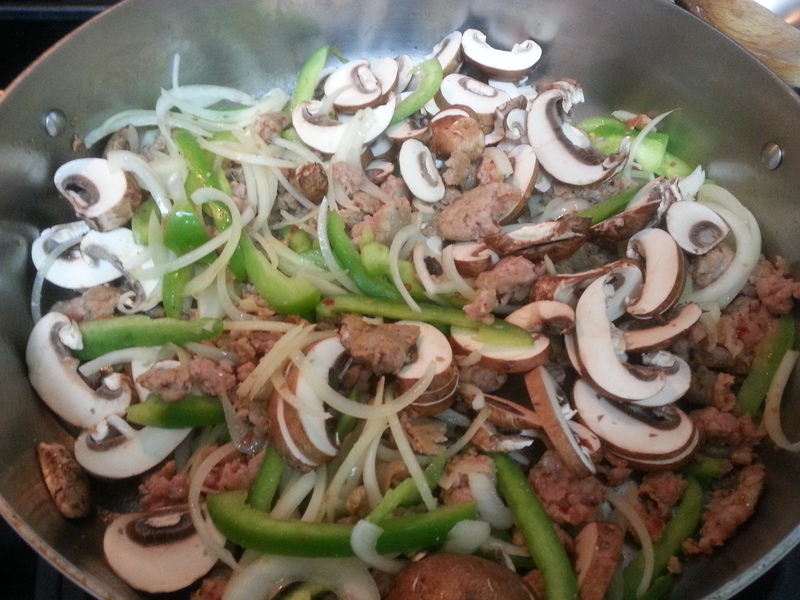 Add in the onions, bell pepper and mushrooms. 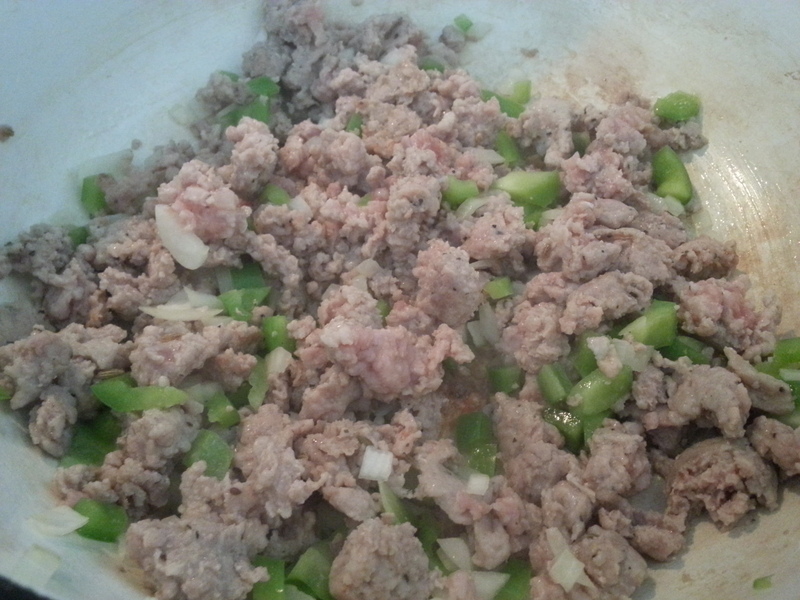 Continue cooking and stirring for several minutes or until sausage is cooked through. Add the garlic and cook for about 30 seconds more. Then add the wine to deglaze the pan. Make sure to stir and remove any bits from the bottom. Let cook until the wine has almost completely reduced. 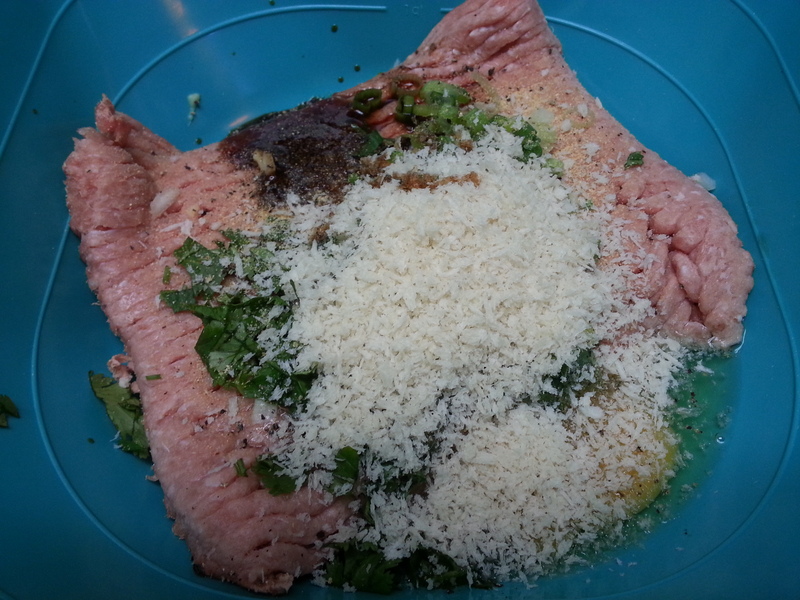 Add in the half and half, as well as all of the spices and cheese. 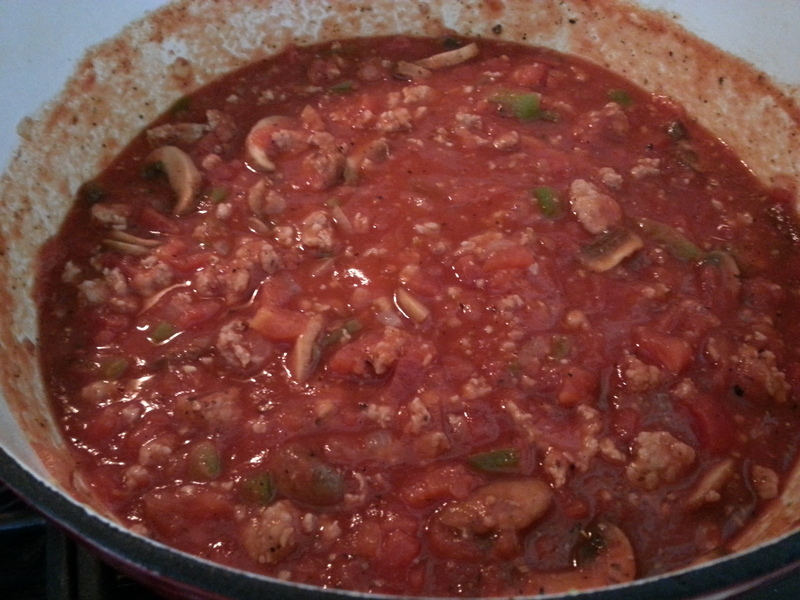 Cook for a few minutes or until the sauce has thickened slightly. 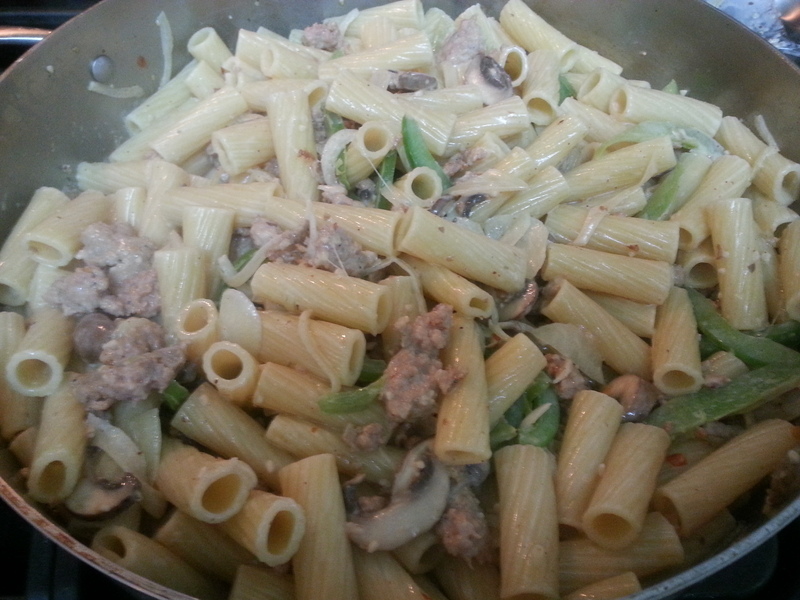 Add in the pasta and stir to combine and coat the pasta. Serve immediately. Thursdays are a busy day for me this time of year. My oldest daughter has softball after school and that means I don’t have much time to make dinner. So the slow cooker it is! That way when we get home from practice, we can still enjoy a home cooked dinner that’s waiting for us. I’d much rather prefer that instead of having hungry, complaining little people walking around, whining and asking repeatedly when dinner will be ready. I like to start this recipe the night before but if you’re pressed for time, it can always be put together the morning of. Just skip the night before step. 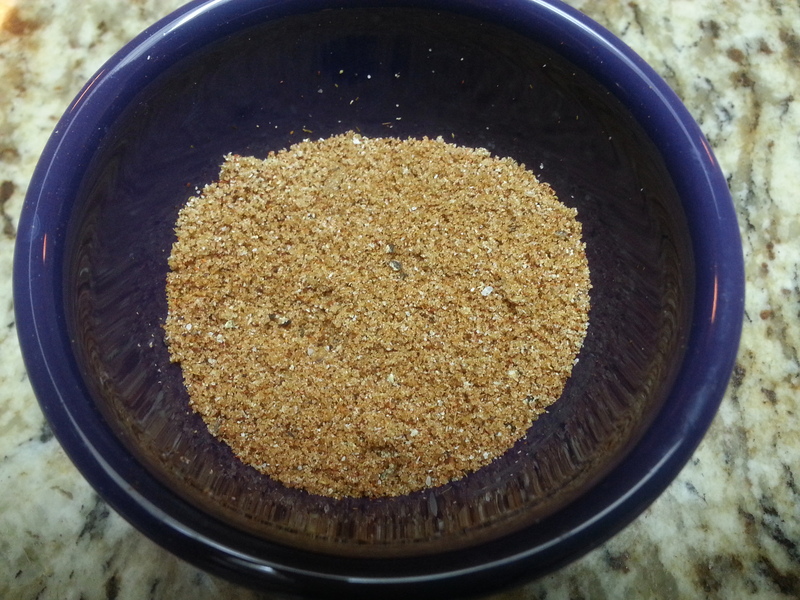 The night before: Mix together all of the spices in a bowl. 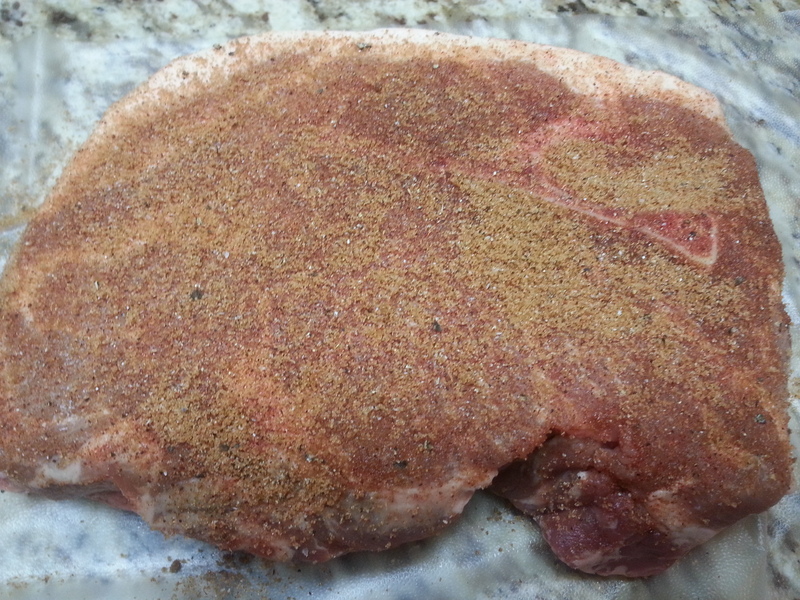 Sprinkle and rub the spices all over both sides of the pork. 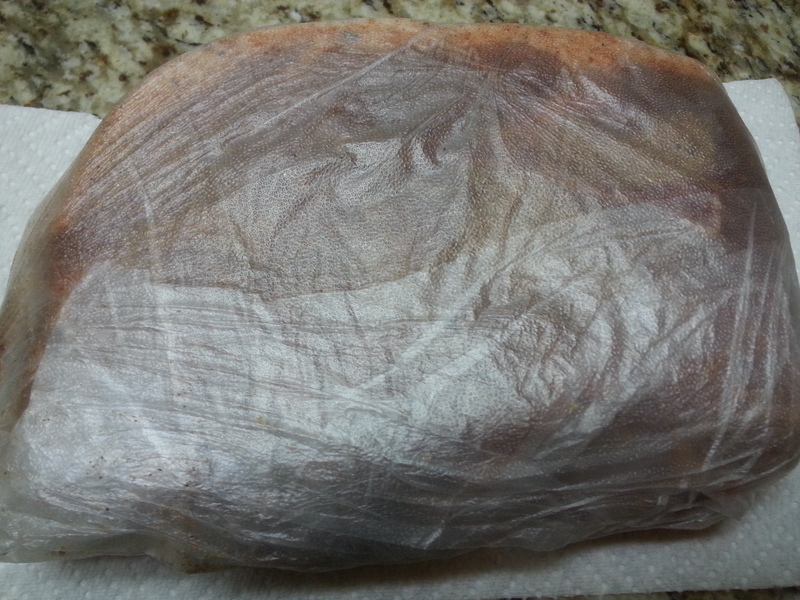 Wrap tightly in plastic wrap. Refrigerate overnight. The next morning: Add the sliced onions to your slow cooker insert. Unwrap the pork and place on top of the onions. 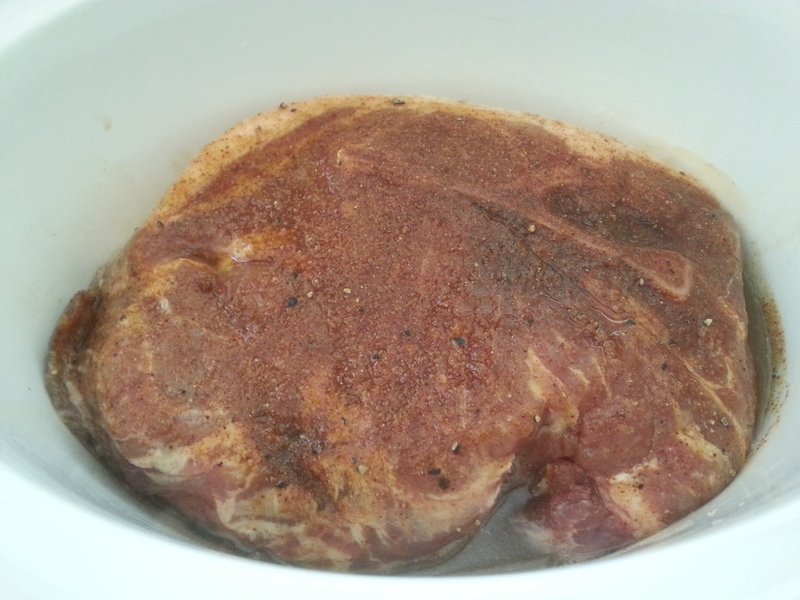 Pour the beer over the meat. 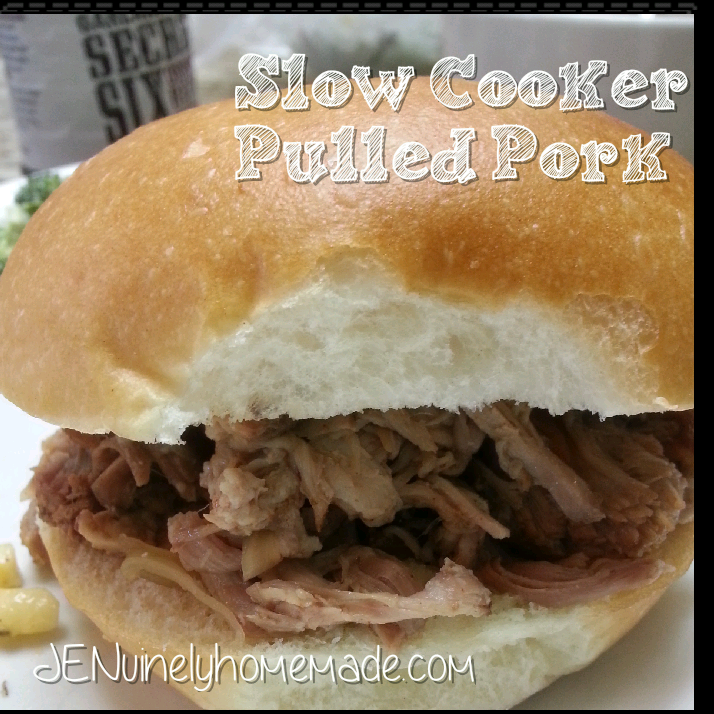 Turn the slow cooker on low and cook for 8-10 hours. 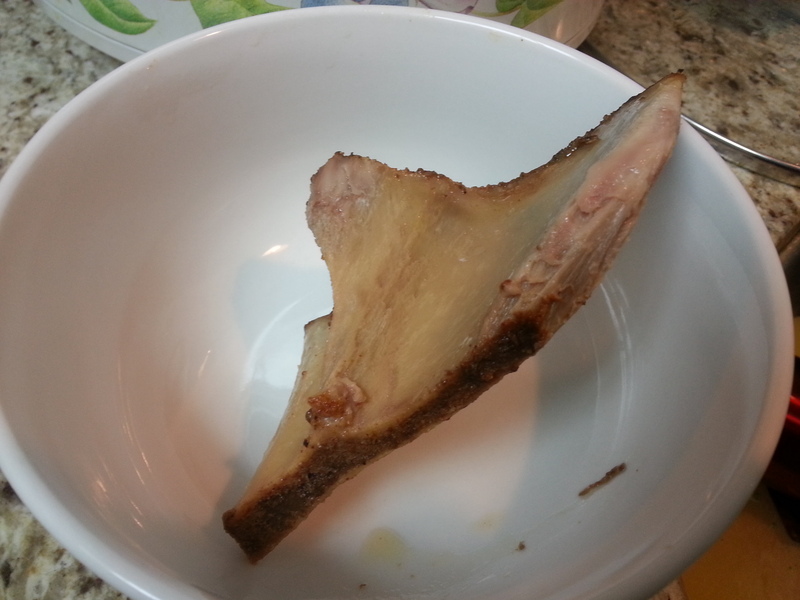 When the meat has finished cooking, remove the bone and the layer of fat on the pork. 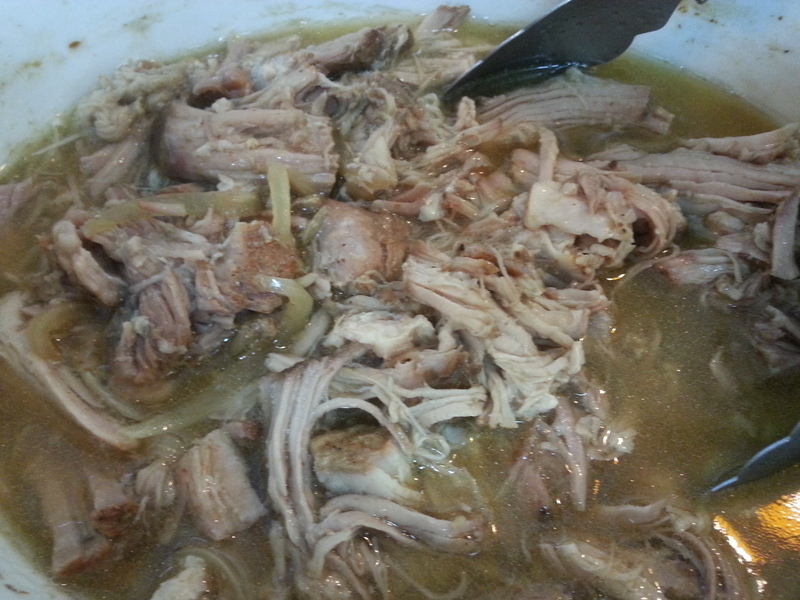 Using forks or tongs, pull the pork apart into smaller pieces. Serve on buns with BBQ sauce. *If you don’t drink or like cooking with alcohol, you can omit the beer. I’ve cooked this both ways and I like them both. But the beer adds just that little extra flavor. And I used a whole beer and only poured half of it over the meat. If you’re into morning drinking, finish the beer. If not, you can put it in the fridge and give it to your husband when he gets home from work. Mine asked me why the beer was so flat and why there was only half of it. But seriously, if your husband likes beer as much as mine, he really won’t mind.